Meet our South Korea-based alumni coordinators, Jihyung Lim and Kadir Ayhan, and join the New Zealand Alumni Association Korea group on social media. To get in touch with other University alumni living in Korea, you may want to consider joining Kiwi Alumni: New Zealand Alumni Association Korea on social media. Kiwi Alumni Korea. Size: 4.6 MB. Type: PDF. Download this PDF file. Size: 4.6 MB. Cindy began her university studies in 2005. She had always been intrigued by ideas around taste and scent, so she decided to major in Food Science. After graduation, Cindy decided to relocate to Seoul. “Having grown up in New Zealand, I hardly knew anything about its culture and history and I believed it was the perfect time to explore,” she says. Cindy is now a Marketing Specialist at Seoul Flavour & Fragrance. This allows her to combine her science skills with her love of languages and presenting to audiences. Cindy spends most of her time working with companies in English, Korean and Japanese; as well as representing the industry at events abroad. She is also the Chair of Kiwi Alumni – New Zealand Alumni Association Korea. This is a group that holds social events for anyone who was educated in New Zealand regardless of age, gender or ethnicity. Membership is free and interested alumni can sign up via the Association’s Facebook page. Cindy is keen to hear from graduates who are curious about Kiwi Alumni. After finishing his Bachelor of Commerce at the University, Jihyung moved to South Korea to work for Philips. He took on a role as the Online Key Account Manager, which entails managing the company’s online sales. “I majored in Finance, so this area was definitely new to me and I didn’t see it coming,” says Jihyung. Jihyung hopes that he will be working at the Philips headquarters in the Netherlands within the next five years. He plans to obtain his CFA and keep a close eye on the industry. Jihyung also has great memories of classes with Basil Sharp. The lectures were straightforward and his office hours were incredibly useful. “He was always happy to address my questions and helped me to grasp the key concepts,” he recalls. Jihyung wants prospective students to know that university is all about the experiences. Jihyung is keen to hear from alumni based in Seoul. 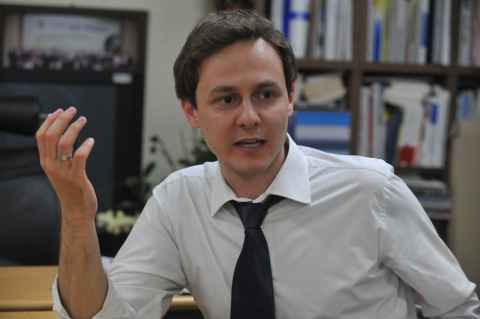 Kadir is currently Assistant Professor at Hankuk University of Foreign Studies. Kadir is also the Executive Director of an NGO called Hangang Network for Academic and Cultural Exchanges, which brings intellectuals of various backgrounds together through seminars, conferences, roundtables and other programs. Kadir came to the University of Auckland from Turkey in 2005. He began a Bachelor of Commerce, majoring in Economics and International Trade. He was just 17. Over the next three years, Kadir enjoyed gaining international experience in Auckland. “That decision helped me to think beyond Turkey,” he says. Kadir would love to hear from alumni based in Seoul.